Stretching along the Pacific Coast, Malibu, California is one of the best beach destinations to visit. People from all over the world come to enjoy the sun, sand, waves, shopping, dining and so much more. 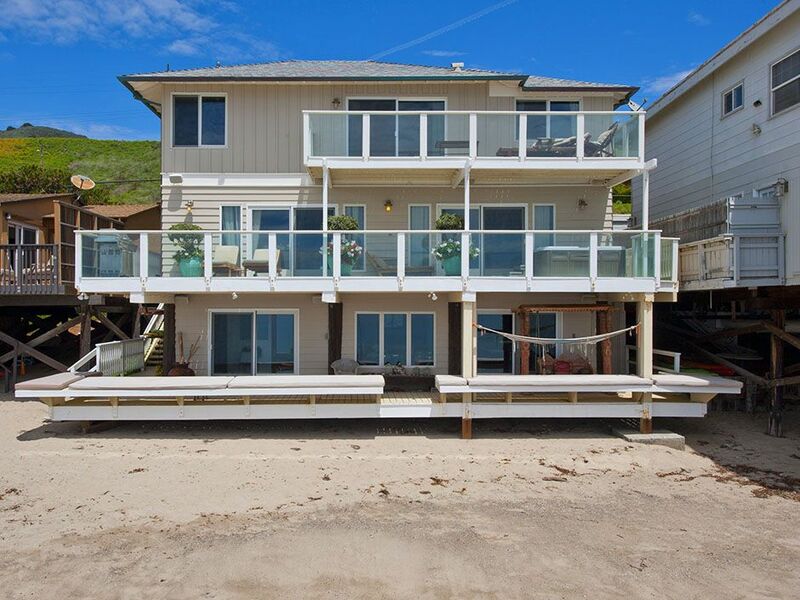 Malibu beach rentals are a dream to experience and the whole area is known for having a Mediterranean Climate. Situated only thirty miles south of Los Angeles which has a major international airport, Malibu is a super easy destination to reach. The area was originally settled by the Native American tribe Chumash who named the area “Humaliwo” which means ‘the surf sounds loudly.’ Malibu has some of the best waves in the world. Nick named “The Bu” by surfers and locals, Malibu’s Surf Rider Beach was named the first World Surf Riding Reserve. Almost any time of the year is a pleasant time to visit. Influenced by the Pacific Ocean, there is often a mild and pleasant temperature as opposed to other areas inland that may get hot and humid. As you are looking to plan you next awesome vacation, here are seven reasons to choose Malibu for your next destination. This is one of the most, if not the most iconic landmarks of all of Malibu. This pier was originally built in 1905. It has undergone several renovations, however it still looks very similar to its original construction. Visitors can enjoy shopping at the local gift shop along the pier, fishingand taking advantage of some great photo opportunities or enjoy dining. At the end of the pier is a café and at the base is the main restaurant, the Malibu Farm which is a popular eating establishment. The pier is also right next to Surf Rider Beach so you can simply pass time while you enjoy watching people catch those waves. Aside from strolling the long stretches of beach to your hearts content, visitors can head inland for some great hiking. The area is an outdoor enthusiast’s mecca. There are many hikes in the area and Solstice Canyon is a great hike if you only have the time to choose one. The full hike is six miles long, however you can easily choose to do smaller sections of the trail if you wish. It is famous for a gorgeous waterfall you can see as well as some stunning vistas. There is also a lot of history along this trail including a stone cottage that dates back to 1865 and in more recent times, the remains of some houses that have succumb to wild fires. This almost goes without saying. If you are in Malibu the thing to do is go to the beach. Malibu is known for being home to Hollywood stars, people in the entertainment industry and other affluent residents. There are tons of great beaches all around Malibu but if you’re looking for a good one, check out Zuma Beach. This one has a big parking lot, bathrooms and showers. It’s a great place for building sand castles and boogie boarding. It has a long stretch of beach area so even though this is a popular destination, most of the time people can still spread out and enjoy their beach time. If you want to splash out (no pun intended) and enjoy some of the finer things of life, Malibu has some of the nicest accommodations you are bound to find anywhere. Beach front rentals are a very popular things among visitors and demand gives you some great choices. There is nothing like enjoying an evening cocktail from your own balcony while watching the sun slowly descend behind the horizon line of the ocean. For those traveling as a group of friends or family, splitting the cost of renting some nicer accommodation can be a good way to get some great value out of your time away from home, yet still have all the creature comforts you could hope for. If you enjoy festivals, Malibu could be for you. This place hosts all different types of festivals throughout the year. A few worth noting is The Malibu Arts Festival held annual the last weekend of July, The Malibu International Film Festival, The Malibu Chili Cookout every Labor Day, The Malibu Nautica Triathlon every February or the Polar Plunge each February. There are other festivals held throughout the year so be sure to check out a local events calendar when you are in town. The Malibu Surf Shack is a must see icon of a shop. It has been open since 1972 and provides a huge assortment of all different types of water sports gear and activities. If you have always wanted to try paddle boarding, this is the place to try. Or perhaps you’ve been just waiting to fulfill your dream of trying to be a surfer and catch those waves, they offer rentals and lessons. Kayaks can be rented and if you’d like you can also go on a guided excursion. No matter what your water sport wish is, there’s a good chance these guys will have you covered. A big hit among visitors is to go on a Wine Safari through the Malibu Mountains. During this time visitors will be trying locally grown grapes while exotic animals wander around. There are many great photo ops and beautiful scenery along this tour. With plenty of sun and fun, Malibu is a must visit destination. Is ADD Now TIADD – Technology Induced Attention Deficit Disorder?